Very helpful and found us the perfect place for our group of 6! The only comment I would make is we didn't receive our meal vouchers prior to leaving so didn't know we had any until we got back home. That was a shame as we all had a nice meal out and the vouchers would have been very handy. What a way to get hitched! On a sunny, blue sky day last week, Luisa and Roger flew in a chopper to a deserted sand cay on the edge of the World Heritage listed Great Barrier Reef, just off the coast of Cairns. They had the entire place to themselves, very romantic! 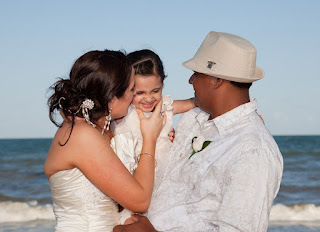 To read their story and see the images from their wedding go to Azure Photography’s news page. South Pacific Bridal has kindly donated 85 gorgeous wedding dresses to Lifeline at Earlville in Cairns North Queensland just recently. Most of these gowns are size 8 but there is still a selection of 10-12’s to choose from but we suggest you hurry on over and try some on for yourself. Lifeline is on Mulgrave Road on the left hand side as you head south to Townsville way. Aaron and Jessica held their Cairns wedding at Whitfield house, an amazing venue located on the fringes of the tropical rainforest. It was a lovely wedding with 40 guests coming from Australia, South Korea and the Philippines. 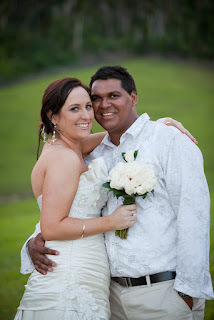 To see images of their beautiful wedding click here!! Greg and Nicky chose the gorgeous country location of Eden House at Yungaburra for their wedding on the 24th April. Yungaburra is just over an hours drive from Cairns. If you are looking for something away from the beach Yungaburra is the perfect location. You can see images Greg and Nicky’s wedding at Azure Photography’s news page. Oh my goodness where is the Bride? Look out it’s a bird its a plane no its the bride! Today is the official launch day of Jump the Beach Palm Cove just 30 minutes north of Cairns in Queensland Australia. Couples can choose to skydive into their wedding ceremony to make a memorable entrance. Land on the soft sands in front of the Ansanga Chapel and the Palm fringed coastline. Skydiving into your wedding is certainly not for the faint hearted but what a buzz it would be for the begining of your new married life. Couples could even Skydive on the Beach to their ceremony together. Skydiving on Palm Cove beach times are on the beautiful sunrises of the Great Barrier Reef and on the balmy sunsets over the ocean. Read about Skydiving the Beach here http://www.thetourspecialists.com/tours-skydive-cairns.html or Talk to the girls at Register Your Wedding and see how you can skydive into your wedding in Palm Cove call them on 07 4059 5959 and be one of the first couples to skydive into your wedding. 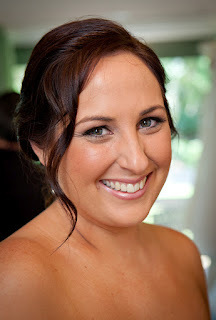 May 7, 2012 By Cairns wedding makeup artist abigail Stanbridge of Finesse Mobile Makeup. 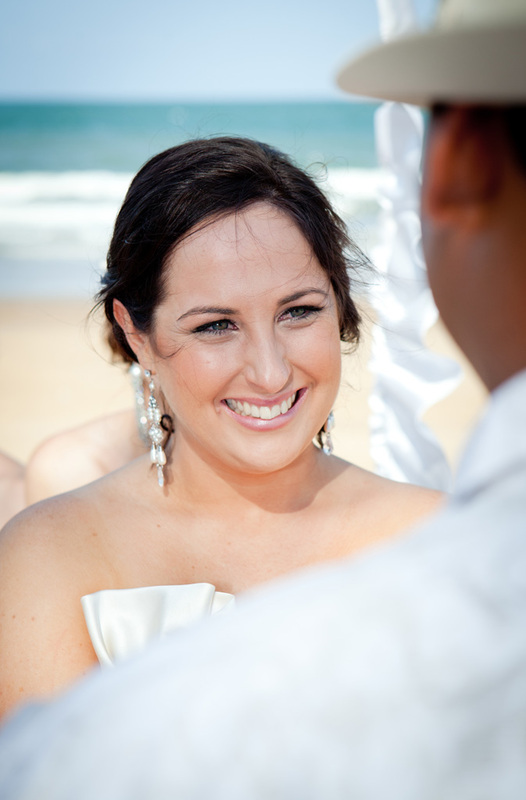 Melinda and Trevor were married at Mission Beach south of Cairns. I loved sharing Melinda’s special day with her and I had so much fun doing the wedding makeup for Melinda, her mum, the bridesmaids, the cutest little flower girl and the entire bridal party. It was a very relaxed morning and I think the wedding makeup photos have come up a treat! Finesse Makeup is a completely mobile service offering modern and classic wedding hair and makeup in Cairns, Palm Cove, Port Douglas, Mission Beach and the Atherton Tablelands. Our qualified makeup artists and professional hair stylists are specialists for weddings, bridal parties, school formals, fashion shoots and commercial productions. Contact us today to book your Wedding Makeup and Hair for the bride, bridesmaids, mothers of the bride and groom and flowergirls. If you would like to see images from their wedding click here! !